Jose Mourinho has ruled out a return to Portugal and has promised not to talk about his intended destination. Jose Mourinho was sacked by Manchester United, a week to Christmas following some rough results and got replaced by interim manager Ole Gunnar Solskjaer, who has gone on to win his first five games in charge of Manchester United. Benfica President Luis Filipe Vieira has expressed interest in the two time UEFA Champions League winner, adding that money won't be an issue but the 55 year old said Benfica would definitely not be his next destination. "I have never been into the game of feeding news stories, but I have no intention of working in Portugal. "I don't really want to go there but the best way to respect a great club [Benfica] and a great president is to say that I was not approached. "It's a tremendous honour when you return to a club where you've been, but I'm talking to you and I will not talk to anyone else. "I'm not training, I love that I am no longer talked about all the time and the best way to ensure that will remain the case is for me to not talk either. "I want to able to think and prepare for the next step." 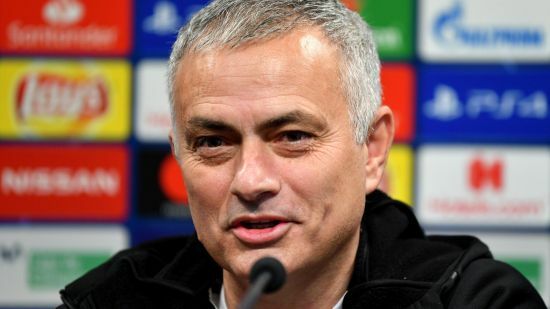 Jose Mourinho had nine games in charge of Benfica in 2000 and also managed Uniao Leiria and Porto in Portugal before leaving for Chelsea in 2004.